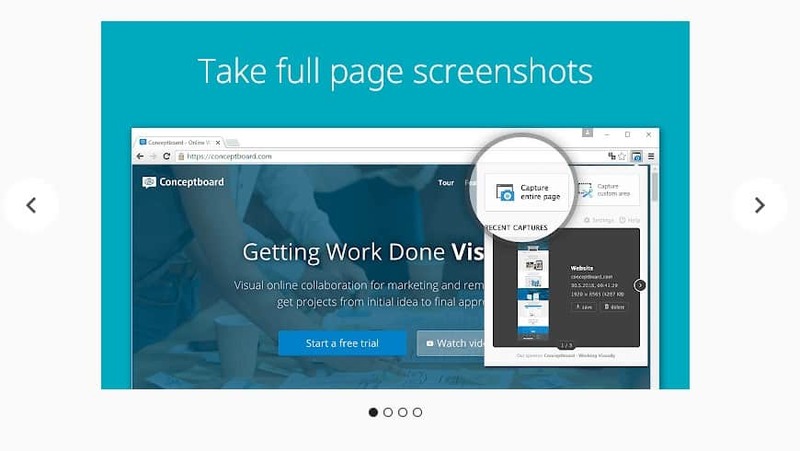 On the Google Chrome web browser, there are plenty of screenshot taking extensions available on the Chrome web store. 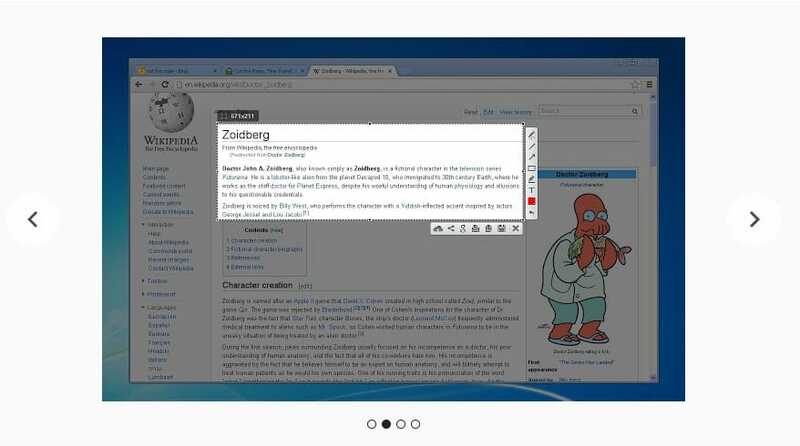 These screenshot taking extensions operates from the browser, and it can save the screenshot on your computer’s hard drive. So, here in this article, we are going to share some of the best Chrome Screenshot extensions 2019. Well, if we look around, we will discover that almost everyone now uses the Google Chrome browser. Google Chrome is right now the most used web browser that’s available on nearly all major platform including Windows, Mac, Android, iOS, Linux, etc. The great thing about Google Chrome is that it has extension support. That means you can expand the functionalities of the Chrome browser by using some extension. Let’s just admit; sometimes while browsing the internet, we land on some webpages from where we need to save some information. It may be the image or text, but we need to save it for future use. Saving webpages is possible, but it needs lots of hard work to save a complete webpage for offline viewing. This is why users choose to take a screenshot for future use. In fact, taking screenshots of webpages is one of the efficient ways to save information. So, let’s explore the list of best Chrome screenshot extensions that you can use right now. If you are searching for a free and easy to use screenshot capture extension for your Google Chrome browser, then you can pick Full Page Screenshot. The best thing about Full Page Screenshot is that it adds a camera icon on the extension bar and users just need to click on it to take the screenshot. The great thing about Full Page Screenshot is that it provides users the option to download the captured screenshot as an image or PDF. So, Full Page Screenshot is definitely the best screenshot capture extension for Chrome 2019 that you can use today. Well, SuperChrome for Chrome extension provides users the fastest way to share and save the screenshot. The great thing about SuperChrome is that it offers users a wide range of features like desktop capture, webcam capture, editing screenshots, etc. 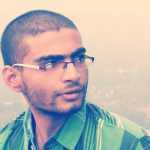 This is an open-source extension which provides users lots of editing options before saving the image. Not just that, but SuperChrome also allows users to directly share the screenshot to various social networking and image sharing sites. Lightshot is another great Google Chrome extension in the list which provides users a wide range of features. This is also one of the simple and effective screen capture tool available for Chrome browser. What makes Lightshot more interesting is that it allows users to edit the screenshot before saving. Guess what? With Lightshot, users can add borders, text, blur out text. So, Lightshot is another best Google Chrome extension on the list which can be used to capture webpages. Fireshot is pretty much similar to the Lightshot extension which has been listed above. However, Fireshot provides users far more features. Guess what? Fireshot allows users to take a screenshot of a selected area. Users can use their mouse cursor to select the area. Not just that, but Fireshot also allows users to annotate, crop, and edit the captured screenshot. So, Fireshot is definitely the best Chrome extension for taking screenshots 2019 that you can use right now. Well, if you are searching for an advanced Google Chrome extension to capture screen, then Nimbus Screenshot & Screen Video Recorder might be the best pick for you. Guess what? 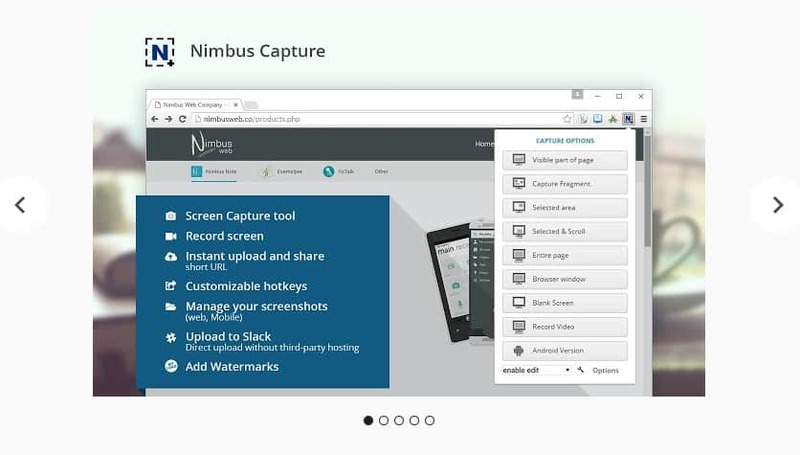 Not just screenshots, but Nimbus Screenshot & Screen Video Recorder can also record videos from your screen. 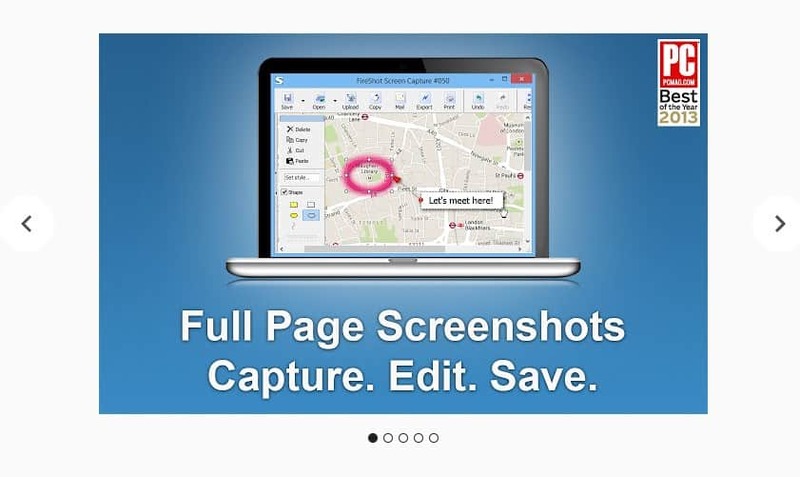 If we talk about the screenshot features, Nimbus Screenshot & Screen Video Recorder allows users to edit and annotate screenshots before saving. Not just that, but it also screencasts features which can be used to record videos from your screen and webcam. So, these are the five best Google Chrome extension to capture screenshots. If you know any other Chrome screenshot extensions like these, let us know in the comment box below.